From humble beginnings to a world class supply chain partner, MEP’s journey has been fantastic. It all started when Terry Hart realised that his entrepreneurial spirit could be put to better use and rather than working for someone else he took the plunge and set up in business on his own. 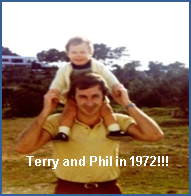 Having spent his early career working in various industries such as construction, engineering and injection moulding, Terry was well placed to enter the world of Aerospace. Moulded and Engineered Plastics was founded by Terry Hart and was born in a single garage in Forest Row, East Sussex. Our first product was a silicon glass moulded slot liner for Lucas Aerospace – and we still make similar products today. The business began to expand highlighting the need for more space. We moved to a stone shed in the yard of Kent Machinery Services - which involved Terry having to dig a 200m long trench to get power to the building! 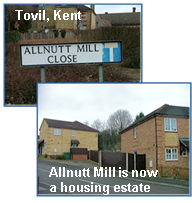 In 1976 we took on the top story of a small unit in Allnut Mill, above a machining company called Newland Engineering. 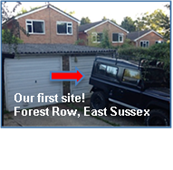 It was at this point we became a limited company, at the request of Lucas Aerospace, and M.E.P (Aeroplastics) Ltd. was born. The new building enabled us to introduce machining of inserts and plastic components to our capabilities. In 1978 we moved across the yard into a two storey building, enabling us to continue our growth in support of clients. After 10 years in our Tovil site we then moved to the other side of Maidstone, into a modern facility in Aylesford. In 2004 Phil Hart became Managing Director and in 2005 we transitioned into MEP Ltd. Terry retired in 2007, but is still on hand for his advice and knowledge from 35 years in industry. 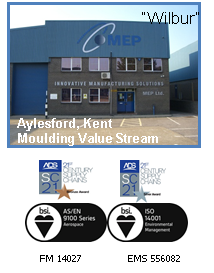 Through the 90’s we achieved BS5750 accreditation that became ISO9001. We then also became accredited to ISO9100 (then Rev C) in 2009. In 2010 we received accreditation to ISO14001 too. In 2009 we received our first 21st Century Supply Chain award, a bronze. We have subsequently received a further 5, the last 4 being at Silver level. In 2012 we took on a second site in Aylesford to give us nearly 21000 sq. ft overall and the Machining and Moulding Value Streams were formed. We continue to grow our capacity and capabilities to be able to meet the exacting requirements from our growing list of clients.